Whether you are a seasoned property seller or completely new to selling, these tips should help you navigate the process and make selling your property as smooth and easy as possible. • “Single Family” If you’re selling a single family home in a neighborhood full of school-age children, then your potential buyers might have children they would be enrolling in your local school district. No family wants to uproot and move their kids during a school year, so this is why the busiest selling season for single family homes is the spring and early summer. This way, buyers can complete their moves without disrupting their kids’ school schedules, which is especially important when a buyer is changing school districts. If this is you, your best bet is to list in the spring (March-April) through June or even early July. If you start too early, especially in the snow belt, you will waste your first few weeks on the market as not many buyers will be looking that early, and when they start looking, your home will have been on the market a long time (giving the appearance that no one wants it and inviting low-ball offers). And unless you had the foresight to take pictures the previous summer, your listing pictures will be of leaf-less trees and brown grass (or even snow!). Unless you’re selling a ski chalet, this won’t appeal to buyers looking in the warmer months. Wait too long, and all the buyers who wanted to move to a new school district will have already bought a home, leaving you with a smaller pool of buyers. • “Other Property” If you’re selling a one-bedroom condo in the city, investment property, vacation property or commercial property, the time of year may not matter as strongly as it does with houses meant for families with children. Pay attention to any local trends that might provide insight into when most buyers are looking. Talk to local agents and find out when buyers seem to be looking for your type of property. For example, if you’re selling vacation property, list it right at the start of the busiest season. In other words, don’t list your ski chalet in June unless you really need to. Better to have people visit the area, fall in love and then see your listing for sale. Much like buying a convertible in wintertime, the off-season buyer is looking for a bargain. Of course, circumstances could leave you with no choice in the matter (a job transfer, for example). Once you decide when to sell, the next question is figuring out how to sell, and that question always starts with whether or not to hire a broker. In almost every case, the seller pays the commission of both the selling and listing brokers, though the total commission paid to both sides is set forth and capped in the listing contract you sign with the brokerage (typically 5-6% of the sales price). Should you spend the money? As discussed below, in most cases, hiring a broker is the right way to go. 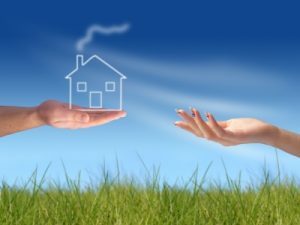 If you have a hot property in a hot seller’s market, however, and you know a thing or two about how to price and market the property yourself, it is possible to save some money and sell by owner. If you go this route, you will be missing out on the exposure a broker listing can bring, but the reach of the marketing will be entirely in your hands (as will the cost). If you find yourself in a hot area with other broker listings nearby, a by owner listing can attract residual traffic from the brokers’ showings and open houses. If you also let local brokerages know that you’d be willing to pay 2 to 2.5% to a selling broker, you will also likely attract buyers with brokers as well. Just be prepared to receive quite a few offers to list your property as well. By owner sellers will need a very good attorney to negotiate and draft contracts and handle items normally taken care of by a seller’s broker (e.g. inspection items, site visits, etc.). Expect to pay your attorney extra when selling by owner. If, like most people, you hire a broker to sell your property, be sure to research your broker and his or her team. Do they concentrate in your geographic area? Do they specialize in selling your kind of property? You wouldn’t hire a condo specialist to sell industrial property, so be sure to research your potential brokers. Ask several top agents for listing presentations and evaluate them for yourself. Good broker teams will also have buyer-clients ready to see your property. Some top agents with a long list of buyer-clients may ask you to give them a “pocket listing” – essentially, a listing that is not put into the Multiple Listing Service but rather is attempted to be sold by the broker using his or her contact network. In exchange, you can usually negotiate a better commission rate as the broker may delay expensive items such a brochures, virtual tours, open houses and the like. Going with a broker also puts your property on the map, so to speak. If you’ve ever been on realtor.com or a like site, you’ll notice that most (if not all) of the listings are through brokers. A good broker will market and showcase your house for a quick sale for the best price because, after all, the more you sell for, the more the broker makes. Finally, hiring a broker relieves a lot of the stress of selling on your own. You don’t have to answer calls about the property, write contracts, negotiate with other agents, schedule inspections, etc. A good agent is worth her weight in gold. The biggest mistake we see with sellers is greed. It usually goes something like this: the property is listed and within a few days or a week, the seller receives an offer. It might only be for 90% of the sales price, but it came in so fast, and there is so much foot traffic, that the seller considers it an insult, counters at full asking (or close to it) and that buyer walks away. Then months go by with no more offers. This seller forsook one in the hand for two in the bush. VERY often, your first offer will be your best (and sometimes only) offer – don’t just let it slip away. If possible, keep the first buyer negotiating as long as you can while you see if any more offers come in. If you go 3-5 days without another offer, you might not get another one without much more time passing and giving a huge price reduction, all while still paying your mortgage, taxes, utilities and other carrying costs. Trust us, we’ve seen it happen time after time after time, and usually after the seller’s agent recommends going with that first buyer. The seller then gets upset and blames the agent, when the agent had the property sold for a good price. Speaking of a good price, what should you list your property for? This is one area where having a broker can be invaluable. A good broker will be able to tell you what comparable properties sold for and help determine an appropriate listing price. No matter what price you choose, remember this: unless your buyer is paying cash, a banker’s appraiser is going to be second guessing the purchase price. Even if you set your price way above the comparable sales and somehow find a buyer willing to pay it, chances are good that it might not appraise, in which case you’ll be dropping your price in the end or starting all over (many times with the same result). If you are in a seller’s market (lots of buyers), then doing the opposite may be your best option: set the price too low! What happens when you set your price well below market value in a seller’s market? Usually, a feeding frenzy and bidding war ensues, resulting in over asking-price offers. Instead of begging for one good buyer, you may have 5 or 6 knocking down your door, allowing you to choose the pick of the litter. But remember, this technique will only work in a hot seller’s market with more buyers than inventory. If you are selling by owner, many local newspapers will print recent selling prices (sold through real estate brokers), so this can help you determine an appropriate asking price. If that information is not available to you, look at and visit similar property for sale nearby to compare to your property and make an honest judgment about a good asking price. • Copies of all service contracts affecting the property. Whether selling by owner or with an agent broker, you want to find a good attorney who is experienced in your market. Your attorney will protect your legal interests and, along with your agent, will help guide you through the process. The attorney and his or her staff should be knowledgeable, dependable and reachable by phone and email. Do not pick your attorney based on price! Just like there are plenty of real estate agents out there, there are plenty of real estate attorneys out there as well, and not all are good. If your attorney is charging a cut rate, then several things are probably true: (1) the attorney has too much volume to pay you any attention, and (2) the attorney doesn’t value their own time (which should tell you something about the quality of the work). You will likely pay around $500 for a quality home inspector. Expect to pay a more for an quality attorney. Remember, your home inspector will work for one day; your attorney will work for 30-60 days or longer! A good seller’s attorney will be very experienced in clearing title issues and drafting closing documents. In our firm, Mr. Appel has been general counsel and vice president to a title company and has over 15 years experience clearing title issues and getting deals to close. Your attorney should also work well with your broker, keeping everyone in the loop regarding the deal’s progress. Many sellers completely misunderstand the purpose of the buyer’s mortgage contingency date, thinking this is the date by which the buyer must prove he or she can get a mortgage. In fact, the contingency date merely represents a date certain by which the buyer has to either cancel the contract because the buyer cannot obtain a loan on the minimum standards set forth in the contract or waive the contingency and proceed to move forward without the safety net of a mortgage contingency. Under most contracts, the buyer is under no obligation to provide the seller with any proof that the buyer has been given a mortgage. That said, if the buyer asks to extend the mortgage contingency date, the seller can and should condition the granting of that extension on the buyer (or buyer’s lender) providing satisfactory documentation showing the buyer will, eventually, obtain a loan to purchase the property. But do your lawyer a favor and don’t call on the contingency date asking for a copy of the buyer’s loan approval – you’re probably not entitled to it. If you are doing a 1031 Exchange, let your broker and attorney know as soon as possible, as additional contract language needs to be added and a qualified intermediary found. While sellers have less work to do after signing the contract than the buyers, you still have tasks to complete. First, you will need to accommodate the buyer’s home inspector’s visit(s). If you have a broker, he or she will handle this for you. If you are selling by owner, you (or if you want to pay your attorney extra, your attorney) will need to coordinate inspections and any follow-ups. If you live in a city or village that requires a home inspection or tax stamps prior to sale, you will need to arrange this with the appropriate city officials. You will need to cooperate with your attorney and provide information so the attorney can (1) obtain a payoff of any loans you have on the property, (2) clear any title issues (such as liens or judgments), (3) provide any required association documentation to the buyer (for which you may need to pay your association), and (4) draft closing documents. You will also need to be available for your attorney at or before your closing to sign your closing documents. Most of all, though, you need to MOVE OUT! We can’t tell you how many sellers seemingly fail to grasp this simple concept – once you sell your house, it’s no longer yours, so get out! If you need post-closing possession of your old home, try to negotiate that up front or, at the very least, during attorney review (typically the first 5 days after you sign the contract), but do not fail to move out when expected. Too many sellers try to save a buck and end up costing themselves more in the long run by breaching their sales contracts. For example, many closings happen first thing in the morning. There is normally not enough time for movers to come and pack up your property completely and still leave enough time for the buyer to walk through the empty property and make it to the closing. Yes, I said the buyer needs to walk through your empty property – not one with half your stuff in it. The buyer needs to make sure you didn’t damage anything during the move-out, which is impossible to do if you haven’t, you know, moved out! This will at the very least delay the closing, and if you are also buying a property in the afternoon (very typical), then that closing will be delayed as well. If anything is delayed beyond the closing day, you will certainly be in breach of contract and can be liable for damages (e.g., if the buyer is charged extra from their movers). Your best course of action for an early morning closing is to have your movers start the night before and store your belongings on their truck overnight. Yes, it will cost you extra, but you’ll thank us in the end. Another issue that frequently comes up at a closing is any changed condition at the home. If, for example, the dishwasher stops working between the buyer’s inspection and the closing, you will need to address this with the buyer at closing. As the seller, you are required to transfer the property to the buyer in the same condition (normal wear and tear excepted) the property was in when the buyer last saw it (usually, at the buyer’s property inspection). Also, don’t remove items you agreed to leave behind (such as light fixtures) – you’ll just end up buying the buyer new ones at closing. If the buyer is moving right in, you can leave most keys and garage door openers in a kitchen drawer and bring one or two keys to closing. Image Courtesy of fantasista at FreeDigitalPhotos.net. Listing what you are selling is important. Let people know what they are going to buy, or they may not even bother with trying to see yours. Taking good pictures of everything really helps too. I’m looking to sell my house but want to make sure all the legal thing go correctly. Thanks for the advice about not picking an attorney based on price. Another thing to consider is getting a real estate attorney that you get along with. This is some really good information about selling real estate. I like that you pointed out that you should choose a good attorney to help you. It seems like it would be a good idea to do that if you are having an issue with the title settlement. My sister is a little worried about the transferring the title of her home and doing it correctly. I really like your advice to make sure the attorney’s staff is knowledgeable and dependable, as well as the attorney themselves. I bet you would spend more time talking and working with the staff, so it would be important to know that they are competent. It probably wouldn’t hurt to get referrals from friends when looking to choose one either, so you would find someone with plenty of experience. I’m looking to sell my house and need to get some help. It’s good to know that if you are selling a single family home then you should prepare to sell in the spring and early summer since that will be the busiest time. Another thing to do is to get help from a real estate agent that is known for being reliable and trustworthy. Thanks for the tips. Selling property can be challenging and requires a good strategy and good timing. Good post. I didn’t know that the seller pays the commission of both the selling and listing brokers. I’m thinking about trying to enter the real estate market and that is good to know for logistic purposes. I wouldn’t want to shortcut someone for work they have already done. It’s awesome that you talked about expecting to typically pay more for a higher quality attorney. My oldest brother is looking to hire a real estate attorney so he can get more into real estate. I’ll be sure to talk to him about finding the right price and quality in a professional. My sister has been looking for some properties for sale. I’m glad you talked about how you should know when to sell. I’m going to have to look for some good properties for sale, and see what we can find! Thank you for all the tips on what to do when you are selling a home. I didn’t know that you should hire an attorney when selling. That is really nice that a good attorney will be very experienced in clearing issues and drafting closing documents. My husband and I will have to make sure we find a good attorney to help us out. When my grandfather died, he left a plot of land to my mother, and she decided she didn’t have any use for it, so she wanted to sell it. She didn’t hire a real estate attorney and things did not go very well. Had she read this article she would’ve know to hire a lawyer to organize the terms of negotiation and prepare security deposits and all the rest of the things that this article suggests you leave up to an attorney. I have been thinking about getting a real estate attorney just in case our home buying doesn’t go well. I really appreciated the tip about finding an attorney that has my legal interests in mind and that they help guide me through the process. This is really important to me because I don’t personally know too much about the law side of things. I agree that certain factor needs to be considered before selling a home. Selecting the suitable time to sell a commercial property could increase the profit. Apart from this, one should hire real estate professionals to reduce the stress associated with the real estate transaction and increase the profit margin. However, one should hire reliable and experienced professionals. Experienced real estate professionals has in-depth knowledge regarding the current situation of the real estate market and their guidance would be very beneficial. You mentioned that the off-season is when some buyers will be looking for bargains. Does this off-season have a set time or does it shift from year to year? I would love to know because I want to break into the real estate market if I can. It depends on where the property is located and what type of property it is. Beachfront vacation property in Florida will have a high season from November to April when most tourists are present, whereas a family home in the Chicago suburbs will have a high season from April to August when families want to move and minimize school year disruptions. My parents are planning to sell our home and buy a smaller one. It was explained here that when selling a home, they should consider if it’s the end of the school year. Furthermore, it’s advisable to hire an experienced real estate lawyer for the best outcome. If you are selling a real estate property for the first time, it is a quite non-identical transaction, especially from what you learned as a first time purchaser. Hiring an experienced real estate agent is a must for reducing the degree of complexity. Better you keep yourself detached from the ballgame. You have to give your property a much-needed curb appeal. Keeping the mind unfenced will help you during the process of negotiation. Lastly, you need to make sure that you have made all the preparations for closing. I’m glad that you talked about how an estate lawyer can carefully guide you through the entire process. My daughter looks to get her first property before the turn of next year. I fear that she may get too excited, rush things, and then completely overlook the fine print. To be sure she knows what she’s getting into, I’d definitely advise her to go look for estate attorneys that can make the transaction easier for her. I write in hopes of speaking with an attorney that can help me with sale contract. I like that you mentioned how a good real estate attorney will work for you longer than the inspectors will. It seems like you really get your money’s worth when you hire them. When we move this spring it is something I will consider. My uncle recently moved, and from what I’ve seen on social media, I don’t think he’s had much success selling his old home. I like how you mentioned that he should get referrals from friends and family, as that will help him find a selling agent with the right amount of experience. These tips could really help my uncle out, so thank you for sharing them.